Location, Location, Location! Welcome to the Maryland House Condo conveniently located in the CWE near the park, hospitals, restaurants and public transportation! This is a secure building with garage parking and a doorman. This 1340sq ft unit is larger than most here with a very spacious living room, dining area, a full kitchen, 2 spacious master suites, a walk in closet and a large laundry ROOM (not a closet). Freshly paint neutral, central AC, zoned heating and cooling, skylights, new carpet an abundance of natural lighting and closet space are sure to appeal to you. The monthly fee covers the water, sewer, trash, recycle, pool, gym, elevator, landscaping, doorman and garage space. There is also an assigned storage area. Refrigerator, washer and dryer are included as is. 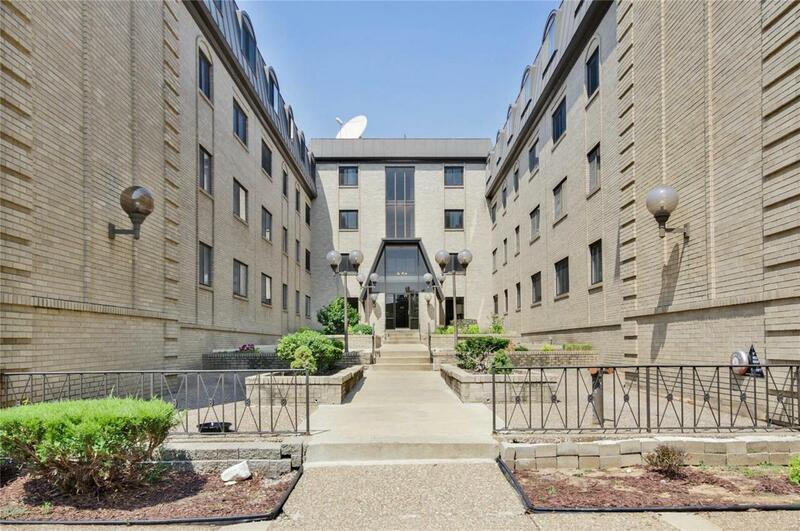 It's hard to find units this spacious for this low price so don't let this one slip by you. Cannot be used as Airbnb. This unit is available for lease too. See MLS #18094301.